← One for election day….. 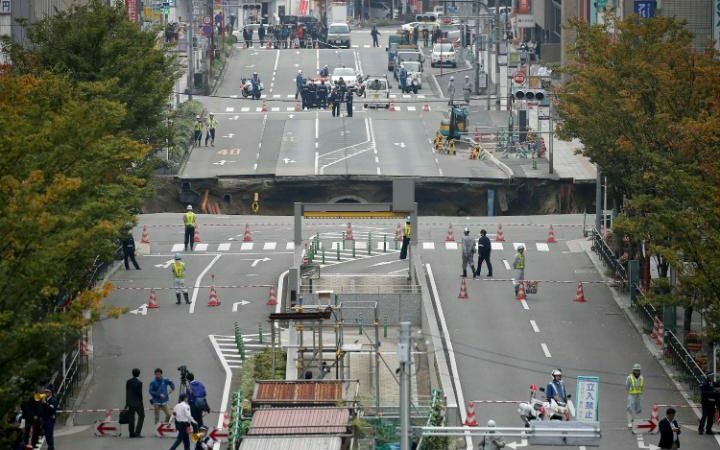 Residents of a major Japanese city woke up to a main road being swallowed up on Monday. 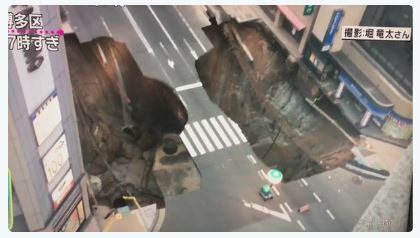 A large sinkhole opened up around dawn in the centre of Fukuoka, on Japan’s southern Kyushu island, with all five lanes of a street caving in. 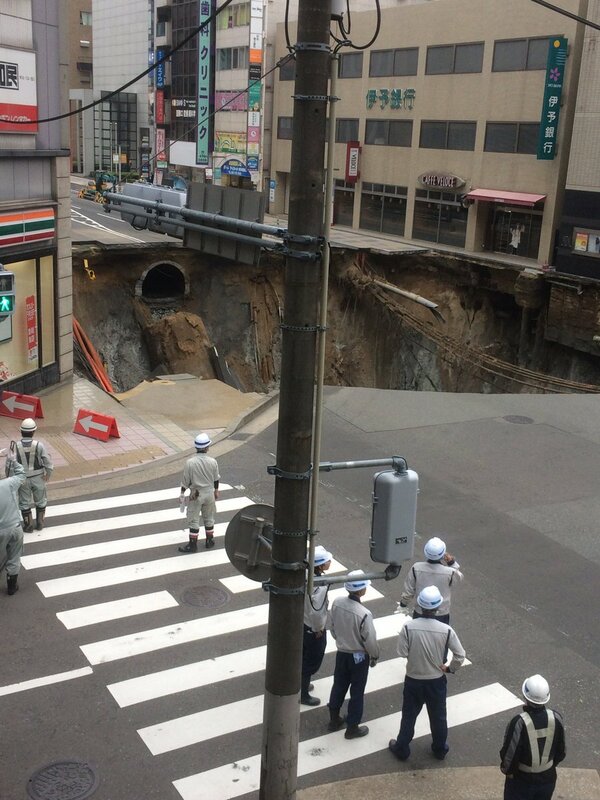 Located at the intersection of a busy road near a train station, the collapse, which occurred just after 5am, caused no casualties but resulted in evacuations, traffic disruption, gas leaks and electricity blackouts, according to Kyodo News. Residents reported that electricity suddenly cut in nearby buildings before they heard a loud noise as the road began to cave in on itself shortly before sunrise. This has some modelling potential. Apart from some interesting cameos, like cars hanging over the edge, and lots of emergency services, there is also the opportunity to model some underground features, like drains, cables and so on. Reminds me of the old joke – “A sink hole has appeared in Redhill Station Road. Police are looking into it.” Sorry…..